A beautiful neutral grey ...spectacular NEW COLOR that blends and reflects its surrounding palette.... The very slight, slight striation of the blend is reminiscent of a feather. So perfectly neutral, this new color is a room designer's "little black dress". 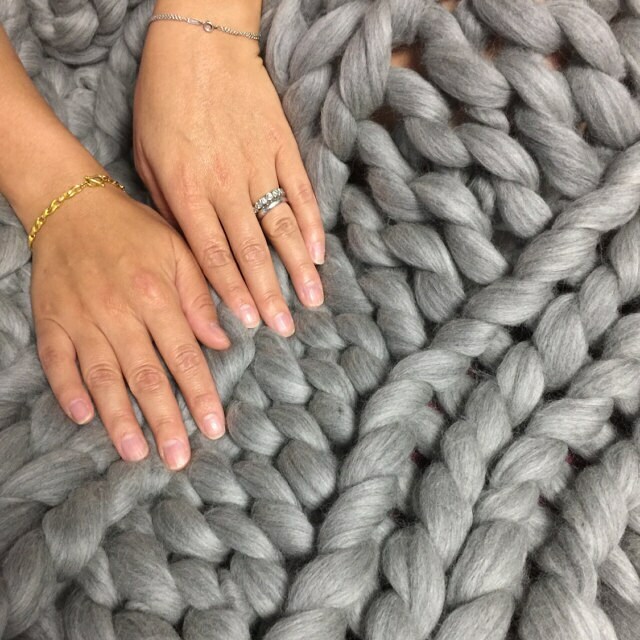 SMOOSH blankets are hand crafted from hundreds of yards of hand spun marshmallow soft Merino wool, the pinnacle of softness, sought-after as a natural, next-to-skin luxury fiber. 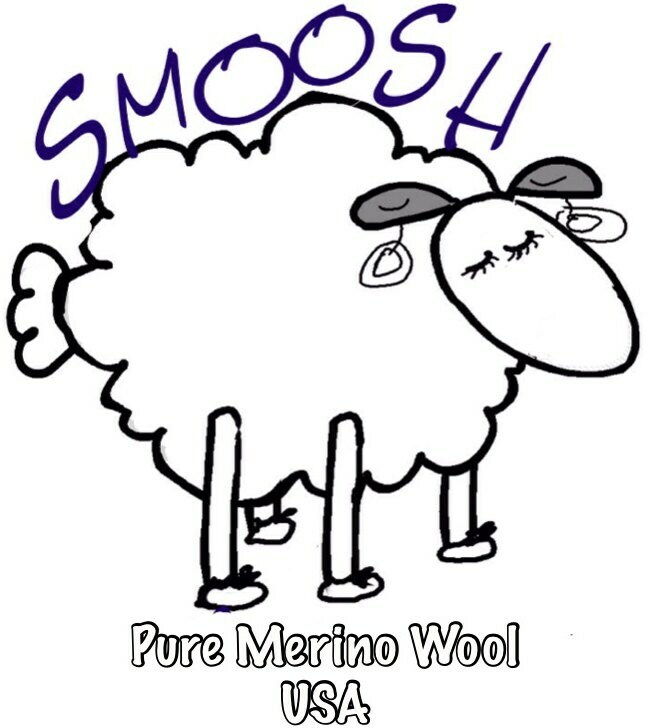 Merino fibers are so fine that when pressed against the skin they gently bend, meaning no sensation of prickle, only softness. Please see our shop for other color choices or kits to make your own! While we try to accurately portray the colors as closely as possible, there will be some color differences due to monitor calibrations and displays. Wool is a natural product and its natural color is unbleached, and because it is organic, it is a gentle off-white. I bought this for my daughter for Christmas and all I can say is wow! 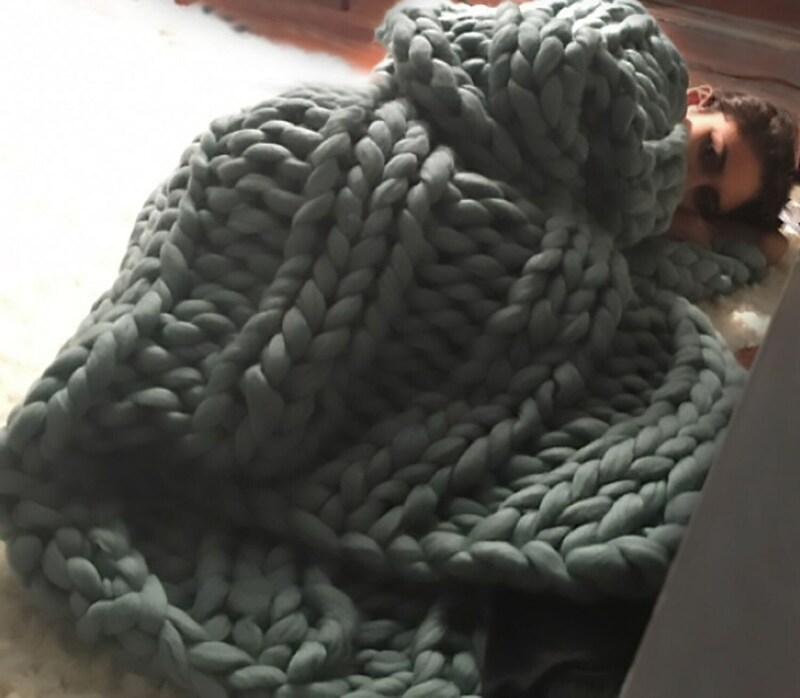 this is an extraordinary blanket and she will have it forever. Thank you! This blanket is pure gorgeousness in yarn. Super soft, high quality yarn, beautifully knitted. I could live under this blanket all winter, as long as I had enough books. But instead I'm giving it to my daughter to keep her snug in her cold Brooklyn apartment. Thank you so much! !